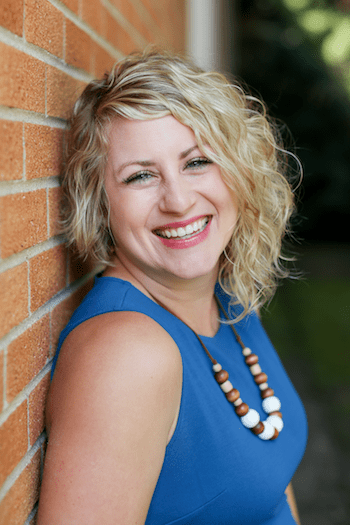 This is the final post in the series, “What it means to be a mom for the first time.” What a joy it is to have Erin from Design For Mankind sharing her heart on mamahood with us on this precious question. I’m so happy to be featuring her today, thank you Erin! I feel so very ill-equipped to talk about what motherhood means (after all, I’m only a short seven months into my own journey! ), but if there’s one thing I’ve learned so far, it’s this: mothers are really just a bunch of watering cans. We house the very element of survival within us – the elixir that our babies thrive on – but we’re just one small part of nature’s greater landscape. The elements around us – the soil of family and sunshine of friends – are what nourishes are babies when we can’t brave the weather alone. And our babies – those precious seeds – will see many, many seasons. They’ll sprout branches of milestones and leaves of regression until another season passes and a new cycle begins – a cycle filled with newness and familiarity all at the same time. Still, we’ll stay with our seeds, watering and watching and waiting and praying. I don’t say this to degrade the amazing role that mothers play in the rearing of our children, but instead, I hope it gives a bit of perspective during those first few months of self-doubt and discomfort and blind faith. We’re all watering cans, doing the best we can to deliver the best of what we have within. And with a little help from the village around us, we can watch our children grow into beautiful vessels themselves. Erin Loechner blogs at Design For Mankind where she shares her personal quest to find creativity, inspiration and meaning in all disciplines. Erin and her college sweetheart/hubby, Ken, are raising their newest addition, baby Bee, in the Midwest. I really REALLY love this. It makes total sense to me that mothers are watering cans. Since becoming a mom one year ago, I’ve thought often about my current relationship with my mom. I rarely call home or ask her for advice. But sometimes, occasionally, I NEED her. It happens at the rarest of times. So, I like to think that she did a lot of watering while I was growing up, and because of her care-taking I grew big and independent. And now, as a result, I need less watering. I wonder if it’s hard for her, you know, to feel needed less. I still need her, just less often, and less intensely. But she’ll always be my mom, and my very best watering can!